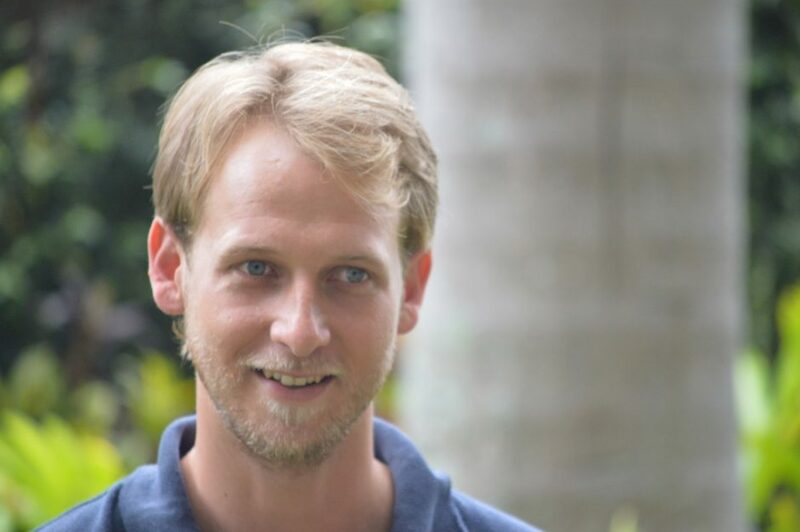 Riley Thomson is based in San Jose and, after years in the field as a farmer support technician, now oversees the Volcafe Way Farmer Support Organization (FSO) in Costa Rica—a country he moved to as a boy, from Canada. 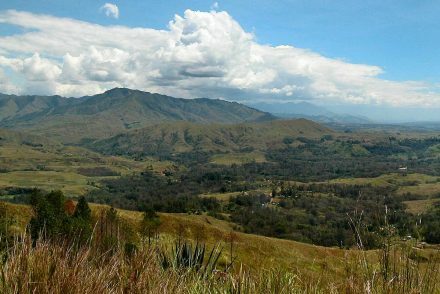 Riley attended Costa Rica’s prestigious Earth University, which focuses on providing its global student body with sustainable-agriculture expertise they can apply in their home countries. We spoke with him about de-bunking myths, the work he does for Volcafe Way, and what might surprise people about his adopted home country. GO: We’re thrilled about this fresh crop of coffees from Costa Rica. Can you tell us a bit about the harvest that just passed? What can roasters expect? 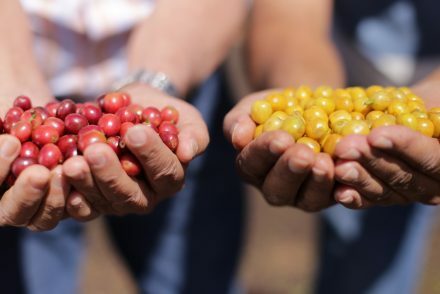 RT: So, the last harvest was on the bi-annual scale that all coffee regions have, meaning that there’s a good year and a bad year, in terms of volume. This last harvest was a low year in terms of productivity. But when we have low productivity we tend to have higher quality. Sometimes people associate big beans with better quality, but in reality it’s the density of the coffee bean that matters. So with a smaller harvest, we have a higher yield of coffee, meaning more dense coffee. To a consumer, that means more flavor per square inch of bean. So all of the good things in the coffee, all of the characteristics that we look for in coffee, are really concentrated. GO: I think we all tend to apply broad generalizations to coffee origins. 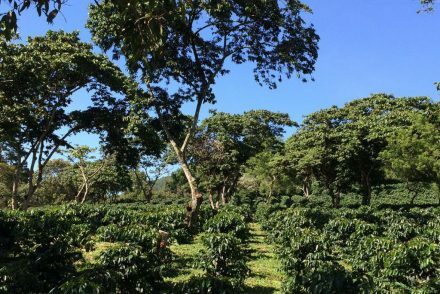 What’s something people may not understand about Costa Rican coffee? RT: Labor is always a huge cost for producers, but especially so here. Costa Rica has the highest labor cost of all of Latin America, after Argentina. And Argentina doesn’t produce coffee. It’s roughly $20 a day, per worker, which to an American may seem very, very low, but that’s about twice as much as the minimum wage in Guatemala. Which is a good thing. Getting farmers to pay their workers a minimum wage in Costa Rica is sometimes a challenge of ours, as a farmer support organization, but it is a type of insurance that the worker is getting good conditions and can maintain a prosperous lifestyle. Costa Rica takes great pride in being a place with a good quality of life, for everyone. The government provides everyone access to free utilities, education and healthcare. So even in very small towns, people’s basic needs are met and they have the foundation for a good life. Coffee farms in Tarrazú, Costa Rica. GO: If we visited you for one day, who’s one person you’d want us to meet? RT: There’s one producer, Francisco, in our cluster in the south of the country, and he is just an amazing farmer. He applies all of the good farming practices that we talk about just kind of by instinct. Like, he doesn’t take notes from his neighbors. He doesn’t even take too many notes from us, because he’s got it figured out. His farm is incredibly bio-diverse, incredibly productive. He lives on it with his family, so it looks like the Garden of Eden. It’s an amazing farm. So yeah, I’d definitely take you to meet Francisco. GO: Will we be receiving any of his coffees? RT: Oh, yes. He’s a Volcafe Way farmer. GO: What’s the most challenging thing about what you do? RT: Well, I think sometimes we have to break down misconceptions about the kind of company we are, because we are part of such big company. Farmers tend to assume that we’re only in it to make a profit at their expense—that’s the underlying misconception. So we really just have to make sure the farmer knows that the people in the field are 100 percent on his side, and that we’re giving him recommendations from his perspective, and that we’re doing our very best to put ourselves in his shoes and wear his hat and give him advice that will work for him and his family in the long run. Alternatively, it’s to convince our buyers, on the other side of the chain, that the work we’re doing isn’t just nice and positive but allows us to educate them on the real needs of the farmer. Sometimes there’s a very big disconnect between what the consumer thinks the farmer needs to stay in the business, and to be sustainable or happy or prosperous, or whatever you want to call it, and what the farmer’s actual day-to-day challenges are. I feel coffee is very trendy, so people come up with ideas about what needs to happen or what the challenges are, and it isn’t always true. GO: What might surprise people about what you do? RT: I think people may be surprised by the amount of contact we have with farmers, and the level of trust we have with them. Like, even though I’m not in the field all the time now, I still get calls from farmers whom I created a relationship with when I was a field technician, and they’re really eager for this kind of assistance. Riley Thomson visits with producer Julio Zúñiga on his farm in Rivas, Perez Zeledon. GO: What was the last spectacular cup of coffee you had? RT: Oh, I was in Zapotal, Tarrazú, and I had coffee there with a farmer named Henry Navarro. And it may not sound incredible because, or, it’s only outstanding in Costa Rica, because here most farmers don’t mill their own coffee, but he does. He selects his best coffee, and he mills it himself, and dries it himself, and drinks it himself. He saves it all for him and his family. He doesn’t sell any of it. But I had the chance to go to his farm and have cup of his coffee with him on his farm, and it was the best cup of coffee I’ve had, by far, in the time I’ve been in coffee. And it wasn’t only the place, right? Because, people seem to be really affected by their surroundings and what’s going on when they have their best cup of coffee. But this coffee really was amazing—chocolaty and rich and great, and really different from anything I’ve had in the area. Visit our Fresh Crop coffees from Costa Rica.